A gun control activist was reportedly kicked out of a hearing in Hartford, Connecticut today after threatening to shoot a number of people, including a lawmaker.“If I had a gun, I’d blow away Sampson and a large group of NRA,” said the text that led to to the woman’s removal from the hearing. Lying to the public is both easier and harder than it used to be. Politicians used to say one thing to one voting block and then say the opposite to another. Now we can uncover those lies in a few seconds on the net. Unfortunately, the mainstream media makes it easier for politicians to lie. The media tells us not to believe our eyes and ears, that a politician didn’t say what they said. To some degree we want to believe the lies and pretend we can have something for nothing. That works for a while. I can’t believe Socialist politicians any longer because I’ve heard too many self-serving lies. They twist the truth on a regular basis. Here is what they say, what we hear, and what they mean. Socialists said we need to confiscate guns to stop the “national emergency” of violence. We heard that all guns would go away. Socialist politicians meant they’d take away our firearms, but would have guns to protect them and their families. No one talked about how we’d get guns away from criminals. Socialism says it is for “the people”.. except when it starves them and then burns relief trucks carrying food and medicine. In fact, Socialism means political elites use government power to rule everyone else. Unfortunately, too many millenials think they are the elite. Hate crimes pull at our heartstrings. Unfortunately, we’ve seen a growing number of well publicized hate crime hoaxes since the beginning of the Trump campaign. What those stories don’t tell us is why we see the surge of fake victims now. The motivation for false accusation isn’t new. Socialists have always been willing to lie about political conservatives. The first thing that changed is that the major media stopped reporting the news. 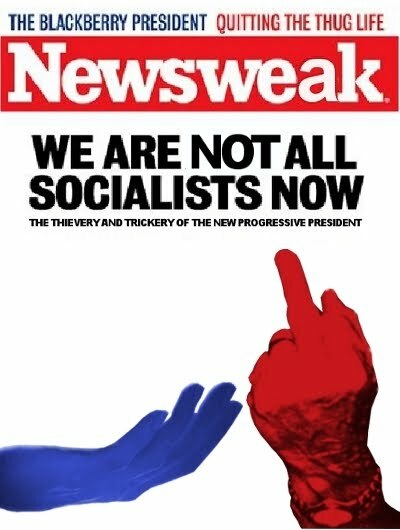 Today, the major news media sells the socialist narrative without regard for facts. The networks lie for the socialists and the rash of hate hoaxes is the tell-tale proof of media corruption. Second, we have changed too. We spend more time watching people on our TV and phones than we spend with real people. The media sponsored lies existed before the Trump campaign. I remember when Dan Rather and CBS News published the false reports of a derogatory military service evaluation of George W. Bush. The documents were an obvious fraud, but CBS News never felt the need to authenticate them. They ran with the story unencumbered by corroboration. CBS News hoped that their lies would stay hidden until after the election.. and they almost succeeded. The media almost succeeded in creating several fake sexual scandals around Donald Trump, though the truth is sad enough. Gloria Allred can always procure the necessary victims when a socialist candidate needs a media attack on their political opponent. I’m saddened by what this does to real victims who want to be heard and believed. The socialist-media collaboration succeeded in defeating Judge Roy Moore in Alabama. The charges against Judge Moore evaporated after the campaign. By then, the damage was done. The Socialists had gained another seat in the US Senate. The surge of fake victims took off with the Trump campaign. I summarized this list from a New York Post article linked here. We’ve had black Baptists deface their own church and blame racist Trump supporters. A black college student painted anti-black graffiti on his college campus in Michigan. We’ve had gay Episcopalians deface their own church and blame homophobic conservatives. A muslim woman in New York City falsely claim that Trump supporters tried to steal her hijab. An Israeli jew sent bomb threats to synagogues in the US. A black journalist in New York City sent threats to Jewish community centers in an attempt to frame his ex-girlfriend. Five black cadets posted hate speech to their own message boards at an Air Force prep school. A black woman in Long Island said four conservative teens cut her tires and shouted pro-trump slogans.. except the woman made it all up. A gay black man who once worked for the New York city council wrote anti-semitic slogans on a Brooklyn Temple. There was an outcry over anti-semitism.. but the black man is bipolar and was off his meds. A hundred students at a Baltimore college protested after racist graffiti appeared in the college bathroom. The graffiti was written by a biracial student. This past New Year’s Eve, three Savannah churches and a civil rights museum were vandalized. The man who threw bricks through the doors was black. The fabrications continued. The media narrative against some kids from Covington High School at the March for Life was invented from the start. It was the socialist agitators who were at fault, and fortunately the truth was caught on camera. A black-gay actor in Chicago paid two black men to attack him. The “victim”claimed the attacks were by white Trump supporters who put a noose around his neck. A transgender activist’s house burned down two years ago. Last week the activist was arrested for arson that burned down the home he rented. We need to get real. Socialism sells itself as a savior to the “oppressed”. Where there aren’t enough oppressed, then it fabricates them in front of the cameras. The news media is busy defending the Socialist fantasy from attack by the facts. We would not have had the Tawana Brawley scandal without the help of Al Sharpton. In fact, it is socialists cities and states who destroy jobs and put minorities on welfare. The corrupt news media is right there with them reporting each fabricated outrage. The antidote is to be sceptical, inquisitive and judgemental. Look past the pretty talking heads who are selling you breathless outrage. Qualify your news sources. Ask yourself if the news is consistent with what you’ve seen with your own eyes. Turn off the propagandists who betray your trust. That is what I do time after time and day after day. CBS News Wants Guns for Them, but Not for You. I missed these details at first. A TV news crew was the victim of a recent robbery attempt. This was a video crew from the local CBS affiliate in San Francisco. The crew was protected by an armed guard. This is interesting because CBS condemned ordinary citizens for being armed. The network said it is unwise for you or me to have a gun for self-defense of our family while CBS protected their camera equipment with armed guards. I love the smell of hypocrisy in the morning. The camera crew was from the “gun free” bay area. The area is gun free in the sense that honest citizens living in the San Francisco bay area can’t get a license to carry a concealed firearm in public. When I checked, there were no concealed carry permits issued in San Francisco.. unless you were a judge or a politician. There is no concealed carry for you as you carry out the garbage or get your mail at the curb. No concealed carry as you work in your garage or in your garden. There are a few exceptions. You can carry in your garden if you live like Speaker Nancy Pelosi and your garden is inside your multi-million dollar walled mansion in San Francisco. In San Francisco, you’re not supposed to have a loaded gun in your home unless it is strapped to your side. Hollow point ammunition is only for the police, but not for you when you’re protecting the people you love. Your armed guards can be armed, but you may not be. Federal guards protect Speaker Pelosi. Hired guards protect the CBS News camera equipment. I can’t help but notice that CBS didn’t send armed guards to protect their individual reporters and staff when they traveled to gather reports with a notepad. They sent guards to protect their crews when they traveled with expensive camera equipment. News crews get robbed in the bay area fairly frequently. Too bad that the network’s concern didn’t extend to ordinary citizens getting robbed on the street every day. CBS is biased in the stories they select. CBS News said guns were too dangerous for us to use..even though over a hundred million of us are armed. CBS reported that armed civilians are a danger..even though 20 million of us have our concealed carry permits. Those are easily ascertainable facts, but as far as I can tell, CBS never found a gun they didn’t want to ban.. except for the guns they hire. CBS said that we need more government research after “senseless gun violence”. CBS failed to report the data collected by the US Center for Disease Control and Prevention that showed millions of us use our legally owned guns in self-defense each year. That research doesn’t fit the story CBS wants to tell. CBS said that gun prohibition saves lives. They didn’t tell you that the statistical study they cited falls apart if you extend the data by one year. They didn’t tell you about the larger studies that show criminal ignore gun laws. Why would a news organization hide that information? The network is biased in their description of those stories. CBS calls it needless gun violence when we protect our families. The network would have to call it asset protection when they defend their camera equipment. CBS tells the news they want and ignores the news that doesn’t fit their narrative. That means what CBS says isn’t really news, now is it. We teach firearms owners that the only time they should use a gun is to stop an immediate threat of death or great bodily injury. That doesn’t cover camera equipment. I can’t trust a news organization that has one set of rules for them and another set of rules for us. It was fun riding shotgun with Charlie. I’ve known Charlie Cook for a few years. We’d meet at conventions and meant to talk, but we were always busy. This time, a guy from Massachusetts and a guy from Louisiana met in Florida to record a video. I hope you enjoy it. I take you seriously. I respect your time and your intelligence. I appreciate your attention, particularly when you’re put in the time to comment. Here are some recent comments that you might have missed so I’m giving them their own post. You had something to say and thank you for saying it here. Kuetsa commented on gun control. A few thoughts to share, God knows I have some thoughts on the subject. NO . . . GUNS PROTECT! That is why the rich, the powerful, the famous, are all surrounded by them. In a dangerous world where that protection is available to ONLY the rich, the powerful, and the famous, here in America we are ALL equally guaranteed the right to such EFFECTIVE PROTECTION!
. . . well then criminals wouldn’t need guns, three big guys could kick in any door with impunity and do what they wanted to the people inside, in areas where guns are not available to people, 30 guys run through with machetes and slice everyone in the village to death. If 35% – 40% of households own firearms, and the three big guys don’t know WHICH homes are armed – THEY GOTTA THINK TWICE ABOUT KICKING A DOOR! The problem is that our great Second Amendment Right is valued only by American Citizens that choose to exercise it. Those that live in the delusion that “the police will come to save me” feel a world with no guns, or where only the police had guns, would be safer. What they really want is for “all the bad things to go away”. Forget about the millions upon millions upon millions of “citizens” that were murdered by the police state of their own government in the last century. The job of our fellow citizens that work in law enforcement is to respond to, and be a deterrent to, criminal activity, and investigate crimes to attempt to apprehend the perpetrators, and to perform civil duties. They are NOT to be a militarized force with such an advantage over law abiding citizens that they have the power to militarily defeat the entire citizenry to beat them down in enduring whatever tyranny is dictated by the ruling political party. The police AND that political party WORK FOR US – they do not get a monopoly of power to enable them killing an entire disarmed citizenry, if they choose. A government that works FOR us – can NOT be permitted to see its law abiding citizens as a threat. That is what is not understood by Americans that are ignorant about firearm and ballistic capabilities – and what they do not understand about the Second Amendment. It is not a right to a gun – it is a right to a CAPABILITY. The capability of Americans to DEFEND THEIR FREEDOMS! And all guns do not ENABLE THE CAPABILITY! Outlawing semi-automatic AR15 type rifles and standard full capacity magazines is not a “reasonable compromise” – IT IS THE ENDGAME! It is the difference between a citizenry effectively armed to possess the CAPABILITY of defending it’s freedoms – And a citizenry restricted by law to low capacity sporting arms that NO LONGER possess the capability of defending it’s freedoms. GUN CONTROL IS ABOUT “TAKING THE CAPABILITY” – PUBLIC SAFETY IS THE DECEPTION TO ACHIEVE IT! The Second Amendment is a “balance of power” that protects a free citizenry – the goal of “gun control” is to shift the balance FIRMLY to government superiority. To be a deterrent to tyranny – a government must FEAR THE CAPABILITY of an effectively armed citizenry! Fred commented on the same article, but with a different perspective. Very nice article! I grew up with a BB gun in my hand. Target shooting since I was 4. Going to gun safety classes every and I mean every year by my Dad. Countless hours of fun plinking with my buddies. Passing on the training to my family. Respect for the firearm like respect for not driving drunk. Your arguments are right on. Look at the much maligned NRA and tell me how many criminals in their 6 million ranks. Nearly zero I’d guess. Maybe a bit more for the next 100,000,000 owners. One side of the political spectrum is always trying to make laws that do nothing to reduce gun violence or mass shootings only make criminals of folks like me. I went to a major University in the early 1980’s, I was on one of their shooting sports teams. Had my firearm and ammo in my dorm room the whole time I was there. Everyone knew, walked in and out of the dorm all the time, no one ever bothered it nor cared. How times have changed! We are not doing enough for mental health, we are not doing enough recognition training like the recent employer incident. Many times in my career I had undercover law enforcement at serious disciplinary hearings. Wisdom is lost in our culture. Patriot guy commented on making guns quieter. I read a while back that when the illegal 1934 gun control act was being debated there was no mention of suppressor until some jerk in fish & game told senators that to include suppressor as this would stop all poaching. Yeah sure it will. People will always poach. So they included sound suppressor in the bill all because of one fool. Louis thought this quote said a lot about the failure of gun control in Illinois.